Elaine Heffner is a psychotherapist and parent educator in private practice in New York City, and a Senior Lecturer of Education in Psychiatry at Weill Cornell Medical College. For twenty five years she was a Co-founder, Director and Program Supervisor of the Nursery School Treatment Center at Payne Whitney Clinic, New York Hospital. Currently, as part of her professional practice, Dr. Heffner is a consultant to the Diller-Quaile School of Music. Her practice also includes consultation with other nursery schools as well as with individual parents. 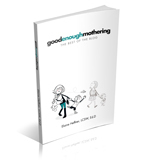 Dr. Heffner is the author of “MOTHERING: The Emotional Experience of Motherhood After Freud and Feminism”, published by Doubleday and Anchor Press. She has written for Cosmopolitan, Redbook, The Los Angeles Times and Parents Magazine, as well as for Family.com: Disney online and PBSParents.org. Dr. Heffner has been an advisor to the Children’s Television Workshop, a Lecturer at New York University School of Social Work, and an Adjunct Assistant Professor at Teachers College, Columbia University where she taught Parent Education. Dr. Heffner is a mother and grandmother.